Sankarabharanam is one of the five grand ragas in the Carnatic System of Music, the other four being Todi, Bhairavi, Kalyani and Kamboji. The raga with its grandeur and majesticity reminds Lord Dakshinamurthy in deep penance. The raga evokes both Sringara and Bhakthi Rasa. 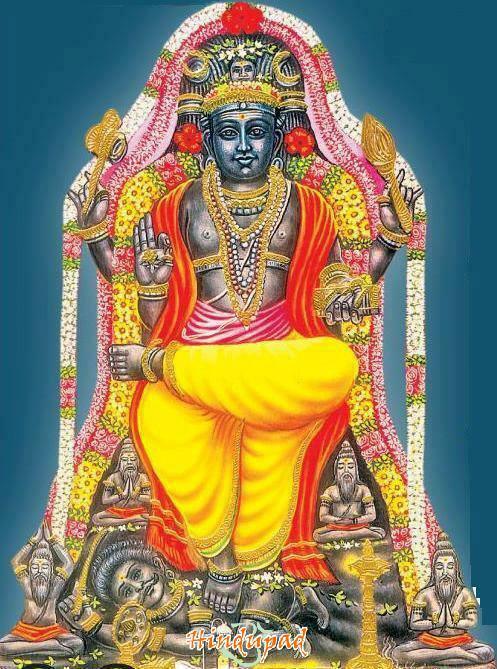 The quality of calmness is brought out by the Jeeva Swaram Gandharam, which is very much still as a rock without any oscillation as the Lord in Penance. It is the ROYAL RAGA among the ragas of Carnatic Music commanding great respect ! It has been rightly referred to as ‘Raga Rajasya Melakaha’ in the Chaturdandiprakasika by Venkatamakhi. The raga is also mentioned in Sangeetha Ratnakaram, Sangeetha Makarandam, Raga Vibodha and Sangeetha Samayasaara. While explaining the diety based swaroopa of the Ragas, Ramamatya in his Raga Vibodha, describes Sankarabharan am as a magnificent and delightful deity who is white in colour , smeared with ashes or the sacred vibhoothi on the forehead, adorned with a garland of lotuses. This resembles Lord Shiva who is white in colour, smeared with ashes and who is adorned with serpents as garlands. The name Sankharabharanam means the “Aabharana/Ornaments of Lord Sankara”. The Ornaments symbolically represent the five swaras R, G, M, D, and N that emerged from HIS five faces Satyojatham, Thathpurusham, Eesaanam, Vaamadevam and Aghoram. The swaras Sa and Pa are the Prakruthi Swaras or Natural notes. Sankarabharanam scale is universal. It is named as Pann Pazhampanjuram in ancient Tamil Music, Bilaval in Hindustani and C Major of Western music. Lyrics will be added soon ..
Really appreciate the piece and also the raga very much. I turn blank and ecstatic when i listen to the song especially one from the movie “Shankarabharanam”. Feel very delighted to read the piece. Unfortunately, I belong to a family from varkala, kerala which dispersed with the onset of colonial-modern indian transformation wherein my father with his three brothers were great singers in their own right. In fact my grandfather Mahadeva Sarma, a teacher and school inspector later used to perform Nandanar Charitram with Sebastin Bhagvatar (Yesudas’ father) during the days around. After migration and remigration, my father settled in Indore, MadhyaPradesh which has little singing-rasika community even then they maintained some saturday bhajans which has degenerated gradually. Unfortunately, my sister and father were lovers of carnatic music and singers restricted to our bhajans or wherever they were called for. After losing my sister to cancer in Jan ’13 on Sankranti and later my father on Jun 29, ’14, I make your blog a companion as most of our wider family hardly keeps connections during vicissitudes of time. I hardly know singing but do not have big taste for it and keep it companion as reminisce of my father and sister. Thank you for the postings! Heartfelt Condolences for your sister and father. It is a great loss for you and nobody can substitute their place. Such pain can be cured only with the passage of time. Music comes as a rescue in all period of trauma. Thanks for all the appreciation showered for the blog and my small efforts to spread carnatic music. I should say mam that your blog is very informative and above all its like a rendering a prayer whenever any article of your blog is read.Not just you and your post sharing , but also the audiences that comment here ,all of them sounds very valuable knowledgeable.It is always good to learn good things from you through this site and to see good and pure comments from the visitors.